With this year’s ILMC theme, and celebrating 25 years of the industry’s Oscar equivalent, The Arthurs, we needed the most magical performance ever for the 2019 Gala Dinner. 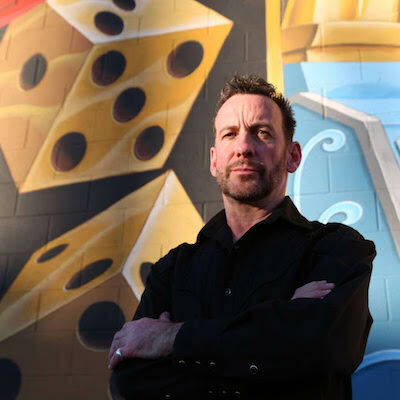 However, we’re still somewhat flabbergasted that none other than world-famous illusionist and street-magic pioneer Paul Zenon has agreed to provide entertainment on the night. Having performed across the globe and appeared on hundreds of TV shows, Paul will be captivating guests prior to The Arthur Awards ceremony when we reveal which stars of the live music industry will be taking one of the cherished statuettes. The ILMC Gala Hou-Dinner & 25th Arthur Awards takes place takes place in a new venue, the stunning surroundings of the Sheraton Grand Park Lane – one of London’s most spectacular Art Deco spaces – on Thursday 8 March. To join the great and good of the live music business on the night, book your place here, or click here for full information.